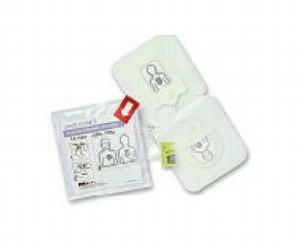 Pediatric electrode pads for Zoll AED Plus. The AED recognizes when Pedi padz are connected and automatically proceeds with a pediatric ECG and adjusts energy to pediatric levels. Can defibrillate children up to eight years of age.